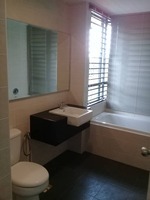 Ameera Residences is a freehold condominium at Petaling Jaya in Selangor, developed by SDB Properties. Ameera Residences comes with 2 blocks of 4 to 29 storey building which comprises of a total of 290 units. 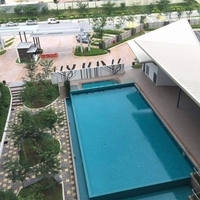 The built-up size of the unit measures approximately 1,289 to 3,255 sf in size with RM0.20 psf (inclusive of sinking fund charges) maintenance fee. Ameera Residences provides a wide range of facilities at the condo such as swimming pool, wading pool, gymnasium, multipurpose hall, children's outdoor and indoor play area and designer landscaped walkways. Apart from the facilities provided, the area is also equipped with 24-hour security. Ameera Residences is near to amenities such as shopping centres (Tropicana City Mall and 1-Utama), schools (SK Taman Sea and SJKC Puay Chai) and colleges (UTAR and The Otomotif College). Ameera Residences is accessible via Lebuhraya Damansara Puchong (LDP), Jalan SS2/24, Jalan 17/47, Jalan Universiti, and Sprint Highway. Get me good deal if there is any units available in Ameera Residences.